Check out all the American Girl Wellie Wishers Doll Reviews on American Girl Spirit's YouTube channel. All the Wellies have been paired with a fun accessory set, so there is a lot to see. The Wellie Wishers girls love to explore the world in their fabulously colorful garden boots and have a fun time stomping in the puddle, putting on shows and helping friendships grow. 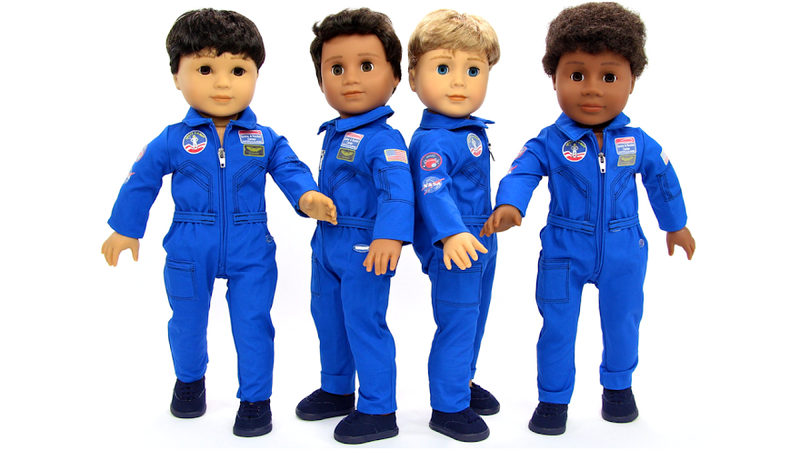 I love all five of these dolls; I find there is great attention to detail, age appropriateness, and play value. These dolls are recommended for ages 5+ and retail for $60 USD each. The Wellie Wishers are a fabulous addition to any doll collection or as a first doll. What do think of American Girl's Wellie Wishers? In this video, I am opening and reviewing the WellieWishers Doll Willa and the Nature Explorer Set! I'm super duper excited to get a look at this fabulous doll. So join along and let me know what you think of the NEW WellieWishers Doll. In this video, I am opening and reviewing the NEW WellieWishers Doll Emerson and the Giggles and Grin Play Set! I'm super duper excited to get a look at this fabulous doll. So join along and let me know what you think of the NEW Wellie Doll. In this video, I am opening and reviewing the NEW WellieWishers Doll Ashlyn and the Tea For Two Party Set! I'm super duper excited to get a look at this fabulous doll. So join along and let me know what you think of the NEW WellieWishers Doll. In this video, I am opening and reviewing the NEW WellieWishers doll Camille and the Ocean Treasures Set! I'm super duper excited to get a look at this fabulous doll. So join along and let me know what you think of the NEW WellieWishers Doll. In this video, I am opening and reviewing the NEW WellieWishers doll Kendall! I'm super duper excited to get a look at this fabulous doll. So join along and let me know what you think of the NEW Wellie Doll.